Butterworks Farm is located in the mountains of Vermont's Northeast Kingdom. 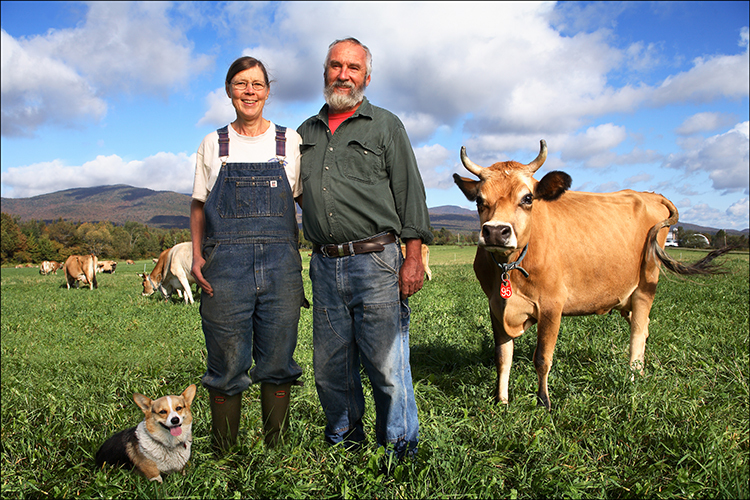 They are unique among New England organic dairies and yogurt makers for a number of reasons. They’ve been farming organically for 25 years and are totally self-sufficient. They grow all the food their cows eat, including corn, oats, barley, soybeans, alfalfa and starting in May 2016, their cows transitioned to a entirerly grass-fed diet. All of the cows were born on the farm and they have a closed herd- which means they don't buy cows from other farms. Since 1975 they have made delicious yogurt, found at City Market, that has an extra special "nutty" flavor. “For over twenty-five years we have dedicated our lives to the ongoing process of nurturing the microbial life in our soil, thereby growing healthy crops for our cows and processing their milk into North America's purest and best tasting organic yogurt,” said Jack Lazor, co-owner of Butterworks Farm. Butterworks Farms doesn't use antibiotics, hormones, herbicides or pesticides. Instead, they promote life and health at all levels and want to remain a small one-farm operation.